U2’s “The Miracle”: Homage or Requiem? The good folks at Louder than War picked up this post — check it out here. Thanks! Author stealingalltransmissionsPosted on September 28, 2014 October 3, 2014 Categories Clash, Joe Strummer, memoir, new book Clash, Paul Simonon, popular music history, punk, stealing all transmissions, Topper HeadonTags fandom, iPhones, iTunes, Janie Jones, Jimmy Iovine, Joey Ramone, Patti Smith, poptimism, Ramones, riot grrl, Songs of Innocence, U2, ZooropaLeave a comment on U2’s “The Miracle”: Homage or Requiem? Can you keep London Callling’s secret? Happy Saturday folks! I’ll be keeping my Sunday and Wednesday posting routine through the fall, but today’s post is rather timely. 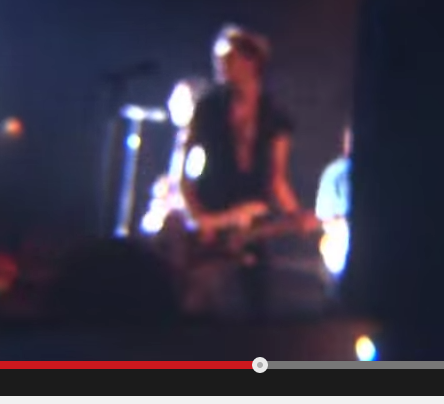 I figure many folks on twitter and elsewhere are bound to be posting pix of Paul Simonon in flagrante delicto (delicio?) tomorrow in celebration of the alleged anniversary–and, alas, they’ll miss it by a day. the audio file from the coda of the 9/20 show. Here’s the video that’s been synched up with the Guns of Brixton bootleg audio track, along with a still from that video. Again: it’s simply a fun stir of the pot here, which I hope you’ve enjoyed. 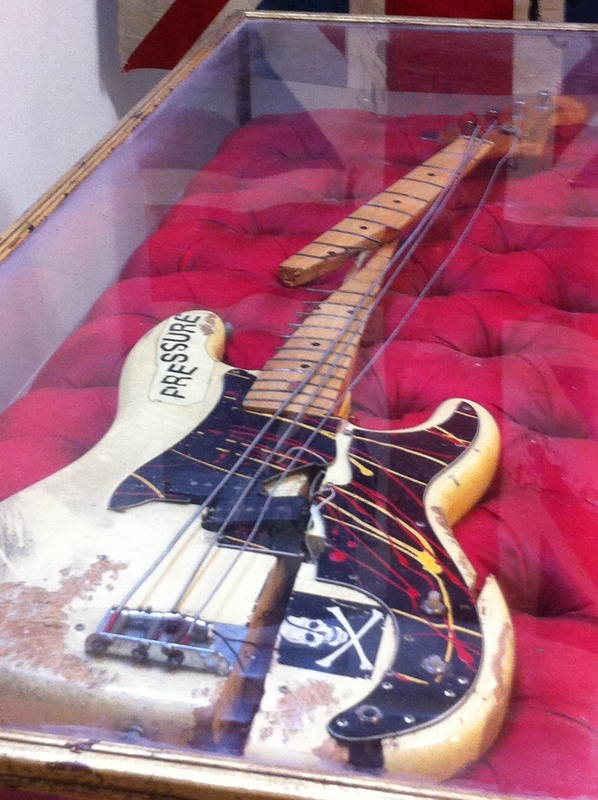 Author stealingalltransmissionsPosted on September 20, 2014 October 22, 2014 Categories Clash, Joe Strummer, new book Clash, New York, Paul Simonon, popular music history, stealing all transmissions, Topper HeadonTags bass guitar, bootleg, London Callling, Palladium, Pennie Smith, randal doane, smash1 Comment on Can you keep London Callling’s secret? It’s a day of rest, so they say, and I’ve got The Clash’s *Sound System* on my mind–okay, not the big, expensive one, but something that amazon (and others, I figure) are calling 5 Album Studio Set–which is not to be confused with 5 Studio Album Set , which is the same thing, but presently $0.21 more expensive. Nice work, amazon! Note: this packaging may reference Paul’s inaugural arrival in the states in ’78, when he showed up at JFK carrying nothing more than a carrying case of LPs. With that in mind, I sat down with Pete, as good as a listening comrade you could find, and I loaded up the CD carousel with the original discs alongside the new discs and compared a sample of key tracks. We started, of course, from the beginning and the exercise was worth the purchase price. No other recent purchase has compelled me to sit in the sweet spot of stereophonic sound and enjoy music the way we used to. Of all the LPs, I figure Mick & co. would be tempted to mess with *The Clash* the least. 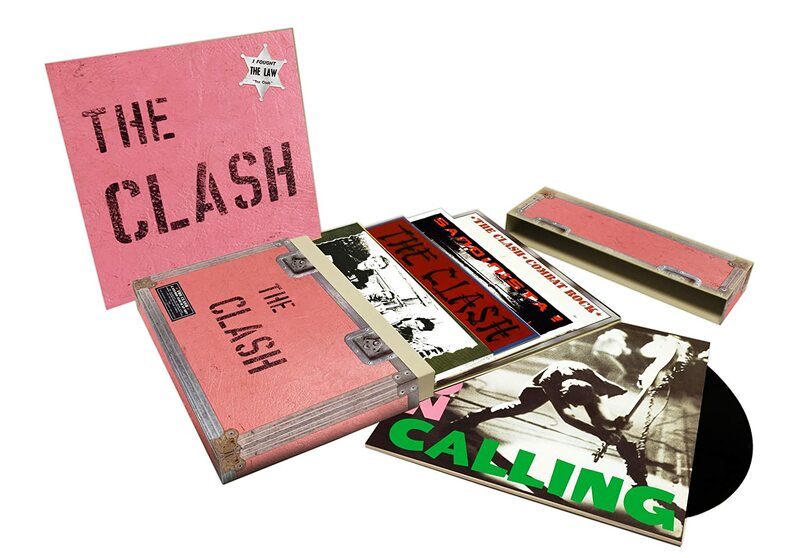 It wasn’t supposed to be an audiophile object: that was the whole point of The Clash in ’77. 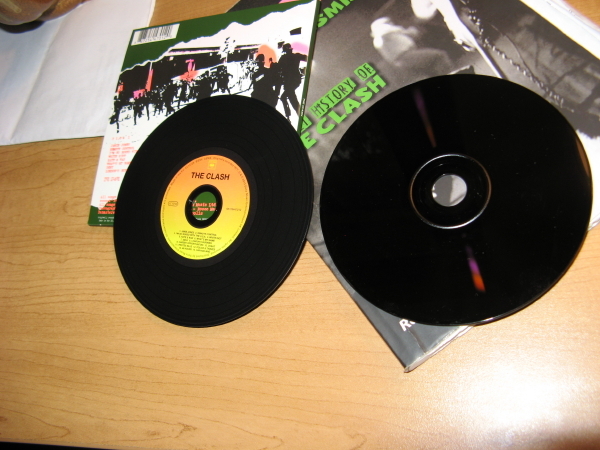 It did, of course, prevent the release of *The Clash* in the US (CBS deemed the LP “too noisy”) and, largely because of the New York fan base, went on to become the best-selling import LP in the US to date. If you’re interested in repeating this exercise at home, make certain that you’re comparing *The Clash* UK version, rather than the US version, as the tracks on the US release of *The Clash* in 1979 got a different treatment in the final mix. More comparative listening notes to come next week. Even the 5 album set is a big package, and there’s plenty to work through. I hope a few of you fine readers have had a chance to check out my book, which is now presently without a publisher. If you like the book, and you have some connections to a press that might like to take it over, please be in touch. I appreciate any and all considerations, no matter how small or remote. Have a delightful and dub-heavy week! Following their eponymous debut LP, upon which they affirmed the pleasures of the pro-cegenation of punk and reggae with their cover of “Police and Thieves,” “White Man” finds Sir Strummer, 25, as a default punk patriarch, sharing the lessons learned from the days of yore (i.e., 1976-1977). From the opening bars of “ooh-ooh” harmonies to the final self-effacing verse, “White Man” still resonates politically and aesthetically, and it’s no wonder that Strummer included this song on many-a-Mescaleros’ playlists. According to Pat Gilbert (Passion is a Fashion, pp. 371-372) in Strummer’s final live appearance it served as the encore’s coda–and it simply hadn’t been reserved for encores in previous gigs. “White Man” is often cited as one of The Clash’s best, and today I try to imagine myself as a UK punk encountering “White Man” upon its release. The opening bars are trebly, like all punk circa 1977, but the tempo’s slow, and the melody-and-rhythm’s Caribbean. The “ooh-ooh”s extend the sense of humor from the debut LP, and Jones and Simonon come in strong vocally for “white youth, black youth” (full lyrics here), in order to hammer the point home. And, by the time Strummer’s singing about my life on the dole, he’s already schooled me on the limits of armed revolution, the tonnage of the British army, and the perils of projecting onto black Britons a more developed revolutionary consciousness. When I hear Strummer snarl, “Punk rockers in the UK,” I get excited, thinking, yes–the reprise of “White Riot”!, only to learn that Strummer figures me-and-my-lot aren’t paying close attention, due in part to our inclination for “fighting”–and male youth is so inclined, because there’s so much at stake, right? But then, in the next line, Strummer suggests that the stakes comprise little more than “a good spot under the lighting.” Oh … ouch. And yes: I suppose the Teds weren’t the real enemy (thank g-d for the reprise on the day of Elvis’s death), and maybe punk masculinity had run amok by 1978, and, well, damn — now what, Joe?